Spend $150 and get 20% OFF. How does your MB2-712 test engine works? After you downloaded and installed it on your PC, you can practice MB2-712 test questions, review your questions & answers and see your test score. Best of all is, our MB2-712 test engine environment is very similar to the real exam environment. Yes, Microsoft MB2-712 updates are provided within 120 days for free. Your MB2-712 test engine software will check for updates automatically and download them every time you launch the MB2-712 Testing Engine. How often do you update MB2-712 exam questions? We monitor Microsoft MB2-712 exam weekly and update as soon as new questions are added. Once we update the questions, then your test engine software will check for updates automatically and download them every time you launch your application. How long is my MB2-712 product valid? 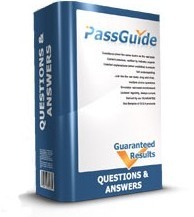 PassGuide products have a validity of 120 days from the date of purchase. After 120 days the product will not be accessible and needs to be renewed. Do you provide free support? Yes. We provide 7/24 free customer support via our online chat or you can contact support via email at support@passguide.com. Buying 2 or more licences? For those who wants to buy 2 or more MB2-712 licences we designed our partner program. Please contact us at manager@passguide.com, or visit our partner program page. What if I don't pass the MB2-712 exam? You are fully covered by our 100% Money Back Guarantee, if you fail your test within 30 days from the date of MB2-712 purchase. You can also ask for an extension or product exchange instead of refund. To claim your refund please email your failed transcript to billing@passguide.com. What is in MB2-712 demo? Our Microsoft MB2-712 demo is fully functional test engine software, but restricted to only a few Microsoft MB2-712 questions. 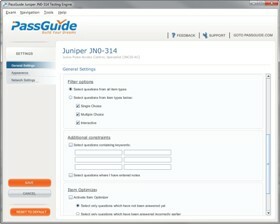 How many computers I can download Passguide MB2-712 Software on? Your licence allows you to download and use the PassGuide MB2-712 test engine software on a maximum number of 2 PCs. Downloading Microsoft MB2-712 product on more than Two PCs will lead to your account being blocked. What payment options you offer? We take credit cards, or you can pay through Paypal, Moneybookers or Western Union. We also accept Bank Wire transfer. Please contact billing@passguide.com to discuss Bank Wire transfer payment option. Set the duration of Practice and Virtual tests, assign a passing score percentage, and select the questions - and even the order of the questions AND answers! Review any or all of your questions and answers before and after submitting your exam. Select only questions containing certain keywords? Drill down to the core of the actual exams and focus with laser-like precision on the areas you need help in the most. Understand your results quickly with basic color coded review. Incorrect answers display in red, with correct answers to all questions in green. learning programs are the most accepted certification in the present era and its entire module is extremely valued by many IT organizations and for experts there is a very huge chance of getting a job in Microsoft IT fields. Many candidates attempt for guides whereas most of them face the problem of unavailability of quality in training matters. Luckily for all the Microsoft MB2-712 experts, PassGuide is now here to help you with your Microsoft IT certification problems, as we are the best Microsoft Specialist exam questions training material providing vendor. We give latest exam questions for certification and because of that, all of our candidates pass certification without any problem. The biggest feature is the regular update of these latest exam questions, which keeps our candidates' knowledge up to date and ensures their MB2-712 success. 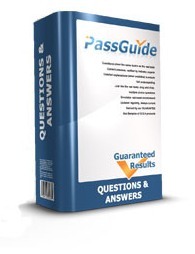 MB2-712 training substance at PassGuide is the work of industry experts who join hands with our Professional Writers to compose each and everything included in the training material. The preparation material is effortless in learning and so candidates can learn it in the shortest possible time. With the help of actual MB2-712 study guide exam question to prepare with, the candidates get all the knowledge and take the real Microsoft MB2-712 exam without any problems. With exam materials and testing engine candidates can carry out in a real exam environment where they can test their skills and study accordingly. Numerous guides and their regular online updates of the training material make sure that the candidates are good to take exam at stage in their lives. How you can pass MB2-712 with guarantee! The practice exam queries on our PassGuide that are being offered for passing Microsoft Specialist MB2-712 exam are the main reason for success of most of the applicants who take exam material and successfully clear MB2-712. It helps students to study with the actual material that they see in the exam and because of that it clears up their idea in their minds and they know the answers to all the questions already. Another big cause of success of our nominees is the interactive learning that is done with our MB2-712 exam question test engine. The test engine allocates the candidates to prepare in a real exam environment and that gives self-assurance to those candidates, as they experience MB2-712 exam environment before actually sitting in the exam. The frequent MB2-712 updates feature, ensure that the candidates' knowledge is up to date and they can prepare for an exam anytime they want, this efficient Microsoft Specialist MB2-712 training material feature is the major cause of the success of our candidates in MB2-712 exam question. 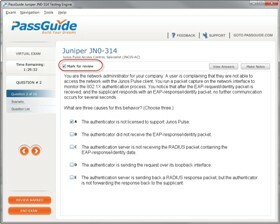 Experience Passguide exam testing engine for yourself. Simply submit your e-mail address below to get started with our interactive software demo of your Microsoft MB2-712 exam.